CHICAGO, Sept. 13, 2018 /PRNewswire/ -- SIRVA, Inc., the leading global relocation and moving service provider, won Relocation Management Company of the Year at the 2018 FEM APAC EMMAs. The FEM EMMAs are the premier awards for the global mobility and International HR industry. Additionally, SIRVA received Runner Up for 'Best Vendor Partnership' for their collaboration with Petronas. The judges commented on SIRVA's entry saying, "SIRVA has demonstrated its strong commitment to continuously improving its service quality and standards." SIRVA has taken strides to show that Global mobility is not always a cost center. SIRVA helps clients achieve significant reduction in relocation spend through in-depth analysis and streamlined service delivery. "We are incredibly honored and humbled to be given this award," said Jacob George, President of Asia and the Middle East at SIRVA. "It's a validation of the hard work the team does each and every day and a recognition of our continued journey to deliver the world class service that our clients have come to expect from us." The award ceremony took place in Singapore on September 6th, 2018. 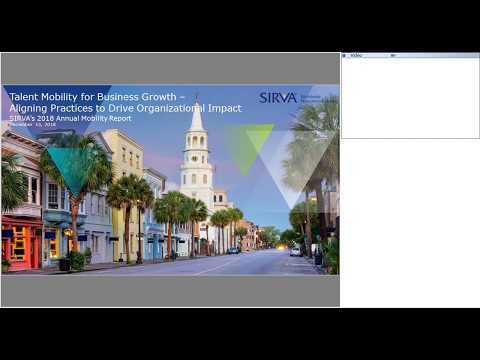 SIRVA Worldwide Relocation & Moving (SIRVA) is a leading partner for corporations to outsource their mobility needs, relocating and moving their executives and staff globally. SIRVA offers an extensive portfolio of mobility services across approximately 170 countries providing an end-to-end solution to deliver an enhanced mobility experience, program control and security for customers. SIRVA has a portfolio of well-known and recognizable brands including Allied, northAmerican, SMARTBOX, and Allied Pickfords. For more information please visit www.sirva.com. FEM is a real-world and online community for the global mobility and HR industry. Our mission is to distill best practice across regions, industries and functions while providing valuable networking opportunities for knowledge sharing and program support. Through our multi-platform of content and events, we encourage dialogue and enable mobility professionals to unite, learn and grow. FEM holds annual Summits and EMMAs awards ceremonies in the Americas, APAC (Asia Pacific region) and EMEA (Europe, the Middle East and Africa) as well as Conferences in Amsterdam, Australia and Houston. FEM also has a worldwide network of more than 40 Chapters, including Belgium, Czech Republic, Dubai, Dublin, Frankfurt, Hamburg, London, Luxembourg, Madrid, Munich, Paris, Tel Aviv, Zurich.